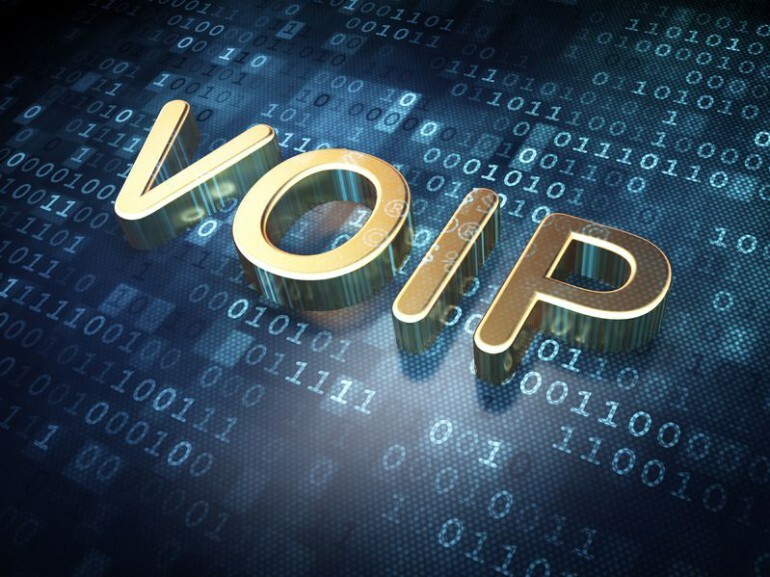 Our search for a robust, easy to manage and implement, feature rich VOIP PBX solution is over. 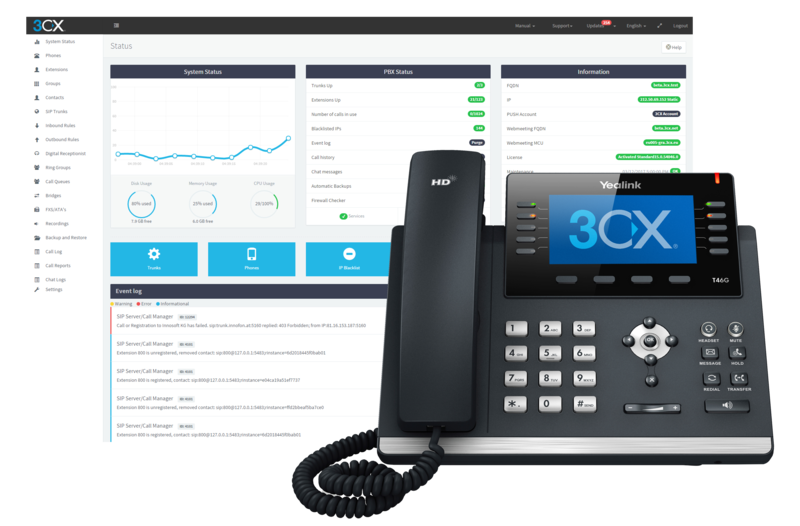 3CX is a software based PBX that works with SIP standard based IP Phones, SIP lines and VoIP Gateways to provide a full PBX solution – without the inflated cost and management headaches of an ‘old style’ PBX. 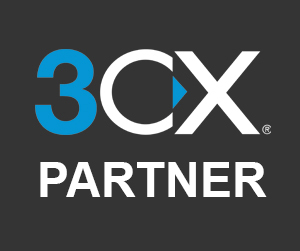 Used by more than 50,000 companies globally, 3CX has been recognized for its innovation and cutting-edge technology. 3CX has enjoyed significant praise for its flexible and functional Phone System and has subsequently enjoyed the award for Innovation and Performance at the 2016 Frost and Sullivan Global Unified Communications Awards in London. ●	Connect with prominent SIP trunks within minutes with pre-configured templates. ●	Plug-in an IP Phone or Gateway to your network for automatic configuration. ●	Avoid interop Issues with 3CX tested IP Phones. ●	Create, edit and delete extensions and DIDs. ●	Upgrade IP Phone Firmware. ●	Reprovision & reboot IP phones remotely. ●	Import or delete all contacts at once. ●	Use the PBX Express tool to deploy your free Cloud PBX, in minutes. 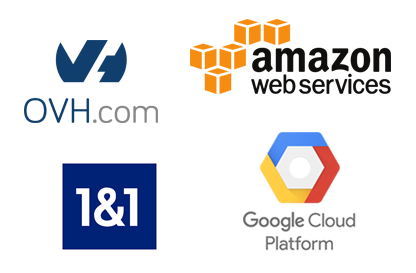 ●	Select from a range of mainstream cloud providers such as Google, OVH, Amazon, 1&1 and many more. 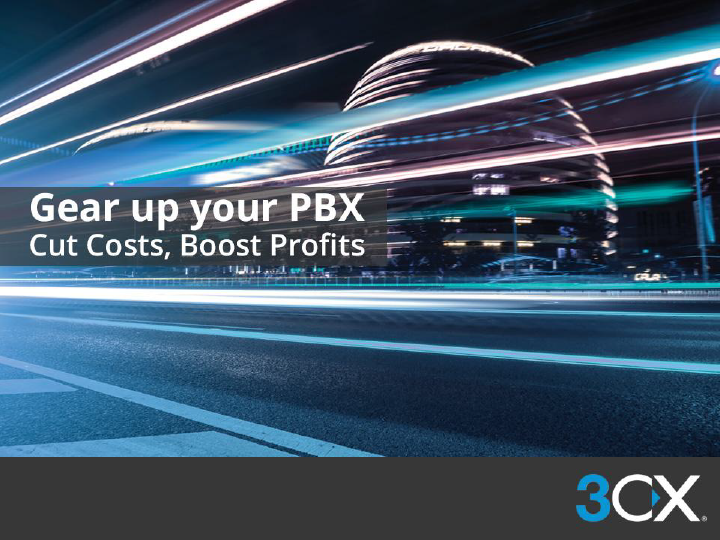 ●	Jump aboard the PBX Express and benefit from the 1 year Free Edition License offer. ●	The free Edition License includes: 8 simultaneous calls (up to 25 extensions), 1 SIP Trunk and 5 web conferencing participants. ●	Deploy on existing Windows or Linux machine. ●	Deploy on a MiniPC Appliance. ●	Virtualize and segregate on Hyper-V or VMware. ●	Increased secure web server configuration. ●	Automatic detection & blacklisting of SIP Attack tools. ●	Traffic to 3CX clients is encrypted via SBC. ●	Voice traffic is encrypted via SRTP. ●	Automatic generation and management of SSL certs. ●	Revolutionary VoIP Security with A+ rating from SSL lab. ●	Automatic Failover for instant backup. ●	Encryption between browser and the website ensured via HTTPS. ●	Decrease your Phone Bill by 80%. ●	Licensing based on number of simultaneous calls and not extensions. ●	Avoid per extension licensing and pay per PBX instead.